nella narrativa e nel teatro, e una mamma. hanno condiviso con lei questa esperienza. all’esperienza diretta di un evento. per divertimento, e soprattutto per passione. anni, e Francesca Romana di cinque. 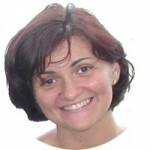 Germana Maciocci is an avid reader, a blogger specialising in fiction and drama, and a mum. She has a B.A. in English Language and Literature. Her thesis was on Shakespeare’s Coriolanus. She has reviewed numerous novels in collective blogs, taken part in literature events and interviewed authors, both in video and written formats. As “Social Media Associate Editor”, she partnered with the American website www.theshakespearestandard.com. Among her interests is photography. She took part in two editions of Immagina, a photographic exhibition curated by professional photographer, and her friend, Carlo Strozzi, after following a course at his studio. Photography, as with writing and painting, has the power, in the author’s opinion, to stop time, showing alternative nuances which often fails the mind during a direct experience of an event. Moreover, she loves London, the piano, and writing – professionally, for fun and above all, for passion. Born in Rome, in 2003 she moved to Casale Monferrato, in North-West Italy, for work and to join the man who would later become her husband and the father of her children: Daniele, now seven-years-old, and Francesca Romana, five.